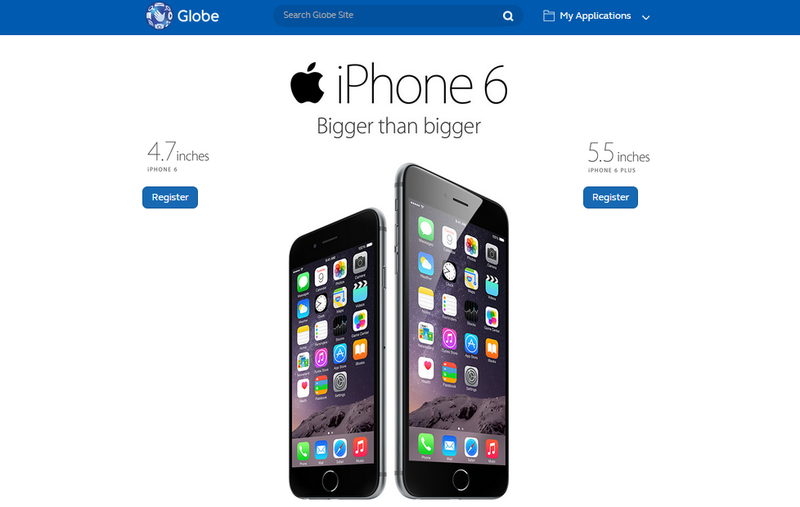 Globe Telecom has launched the pre-registration page for users who want to avail of the iPhone 6 and iPhone 6 Plus! As the first telco in the country to launch a pre-registration portal, the page allows customers to signify their interest to get the iPhone 6 or iPhone 6 Plus from Globe. The pre-registration portal also enables early customers, both new and existing, to choose what iPhone is best for them, including color and capacity. Customers can key in their personal details to receive updates about the newest iPhone devices, including specs and features. The iPhone 6 and iPhone 6 Plus is the biggest advancements in iPhone history, featuring two new models with stunning 4.7-inch and 5.5-inch Retina HD displays, and packed with innovative technologies in an all-new dramatically thin and seamless design. The new iPhones feature a precision unibody enclosure of anodized aluminum that conforms seamlessly with the shaped glass of the display, resulting in a completely smooth and continuous surface. iPhone 6 and iPhone 6 Plus are engineered to be the thinnest ever, delivering a bigger display in a design that is still comfortable to hold and easy to use. Packed with innovative new technologies, iPhone 6 and iPhone 6 Plus include: the Apple-designed A8 chip with second generation 64-bit desktop-class architecture for blazing fast performance and power efficiency; advanced iSight and FaceTime HD cameras; and ultrafast wireless technologies. Both models include iOS 8, the latest version of the world’s most advanced mobile operating system, featuring a simpler, faster and more intuitive user experience with new Messages and Photos features, QuickType keyboard, a new Health app, Family Sharing and iCloud Drive. Globe has been carrying the iPhone since the launch of iPhone 3 in 2008, making it the best network to offer the iPhone with its legacy and partnership with Apple. As the leader in postpaid and preferred network of smartphone users in the Philippines, Globe is excited to launch its wonderful offers and exclusive deals for the iPhone 6 and iPhone 6 Plus. Here is the link to the portal: https://device.globe.com.ph/.